Universal Audio’s Analog Classics bundle is the essential set of tools offered with every Apollo or UAD system. Now it's time to get to know them a little better and realize the power you've been given. Fab demonstrates how to work with these industry standard compressors, EQ’s, and FX while also explaining a brief history about the gear each plugin was modeled after. Master the UAD Analog Classics bundle and bring new dimension to your mixes. Good morning children, today we are going to look into the mouth of a given horse. Namely, we are going to explore and learn the Analog Classics bundle that came free with your Universal Audio Apollo Interface. Enjoy it. The Analog Classics bundle features a bunch of great plug-ins from UA including Pultec Pro EQs, LA-2 and 1176 compressors, a nice channel strip called CS1 and a reverb called Real Verb Pro, that's all pro. Let's look at the Pultec Pro first. Ever since it was invented in the fifties by a company called Pulse Technology, also know as Pultec because Pulse, Tec, Pultec. Every studio worth their salt is supposed to have a bunch of Pultecs in their racks, and now you do too, in your virtual rack. Now, what's special about a Pultec EQ? Let me show you. The main reason why the Pultec Pro has been so popular for so many years is because of the sound. The transformer-tube-transformer design is actually so smooth that it is hard to screw up when you eq something with a Pultec Pro. The ease of use is the other feature. The plug-in that UAD gives you in the Analog Classics bundle is actually a combination of two pieces of hardware emulations. There is the MEQ-5 and the EQP-1A. The MEQ-5 was a standalone piece of hardware designed just to eq mid-range. And then EQP-1A was for the highs and the lows. UA smartly put it together into one plug-in so you can eq the whole range with just one piece of gear. 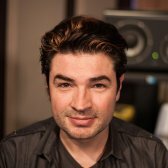 For those of you haven't used a real Pultec or haven't used the Pultec plug-in before it can be a little confusing as to what does what, where, when, why. The top half of the plug-in is the mid-range MEQ-5. Here, the two controls on the left are actually the low boost. Most EQs you may have used so far will let you cut and boost with the same controls. Here no, it's different. Here you have a peak control and a dip control, which you can use at the same time, which means you could theoretically boost and cut the same frequency at the same time. It's fun to do, you should try it. So here on the left we have the peak, you can choose your frequency here, very broad range. Here's your dip, 200, 300, 500, 700, etcetera. And here on the right is your peak. So this two work together, this two work together, and this two work together. So, low mids peak, a dip control that you can range between 200 and 7k. And a peak control for the upper mids, 1.5k to 5k. Let's look at the bottom half of the plug-in, the EQP-1A. First, bypass button right here. This is different from here because this only bypasses the mid-range and this bypasses the low and highs. And here, this bypasses everything. The EQP-1A controls are slightly different from the MEQ-5 controls otherwise it would not be fun. These three controls here are for the low end, you pick your frequency and you boost it or you cut it. As opposed to the MEQ-5 where you can pick a frequency for peaking and you can peak a different one for dipping. Here, you just pick one frequency and you boost or cut from the same frequency. It has interesting results, I'll show you. That's the low end right here. For the high end it works this way. These three controls work together. You pick a frequency, you choose how much you wanna boost it and you choose how wide the bandwidth of the boost is. This is a Q system just like on a parametric EQ. You see the size of the bell on a parametric EQ, this is kind of the same thing. They call it bandwidth because they want to confuse you. This is from the fifties, don't forget. And these last two buttons are the high end cuts. You choose your frequency and you can attenuate it. So this is not related to this knob here, it's related to this knob. These three work together to boost or cut you low end. These three work together to boost your high end, and these two work together to cut your high end. Isn't that wonderful? While Pultecs have been considered to be great on everything, most people particularly like them on vocals, bass and full program material meaning, mixes. So for example here's a wonderful bridge by Will Knox, sound's a little bit like this. So it sounds good but maybe it's a little bit dull and a little boomy. it's a little dull maybe I'm gonna add a little bit of high end." So maybe in the 10k range. And then, pick a number out of somewhere. Here we go. How about a little 5k shine? Like this. OK, now there's a little bit of a mask in the nose down there, maybe we're gonna cut a little bit of 300 with the MEQ-5 and then compensate that adding a little bit at the very bottom. And it would sound like this. Pultecs are also great to make something that's not so fat more fat. Or fatter if you have proper English. For example, this bass. Recorded direct, not super exciting. Can chose 100 Hz band on the EQP-1A, the bottom part, and just raise it. It doesn't require a PHD in science. However, here's where it gets fun. I just boost in 100 quite a bit. What happens if I play with the attenuation? If you listen to the result of the boost of the 100, you get the fat that you want but you also get a little bit of the 'mmm' thing. A little bit of cotton right? Check out what happens if I play with the attenuation at the same frequency since, if you remember, these three controls are tied together. As a reminder, we started flat like this. With just the boost it sounded like this. And with the boost and the attenuation at the same spot. Quick easy way to take a direct bass and make it sound fat. And you can do the same with all the instruments, bass drums also benefit greatly from this trick. Even some male vocal you could boost the very bottom and then use the attenuation to do a little bit of a cut. The curve looks a little bit like this. The best way to function when using a Pultec EQ is like this. Pick a frequency, boost it. Like it, or not? If you don't like it, pick another one, move on. There's nothing complicated about it and that's the beauty of it all. Also there's no graph, there's no visual of what it does which means you're forced to listen to it. Another great way to use the Pultec is on the Full Mix. To make it sound a little more spruced up. Even when you use it in stereo you only get one set of controls for both sides. So whatever you do is applied to both sides exactly the same. For example on this track I hear a little bit of mud. And I hear a little bit of lack of joy in the high end. So, let's put some joy in the high end. I'm gonna pick 16k, full bandwidth because I want it pretty broad gentle, and I'm gonna boost it, gently. Maybe 16 is too high. How about we go down to 10 for example? Without. It's starting to sound a little more opened. I'm lacking a little bit of that shine in the top of the vocal. So maybe a little 5k would be nice. Check it out. I'm digging this. And maybe a little bit of the super bottom. Check it out. So, I pick 20, boosted it to really get the vibe for it, didn't work, pick 30, dug that, that was too much. Put it back down and used the attenuation knob to try and do that little cut and boost at the same time trick. So I get the boost in the super lows but I get a little bit of relief in the low mids area. So we started with the track sounding like this. Very simple. Three or four moves and you go from dull to nice and palatable that you can send to your mother or girlfriend or dog depending on who you hang out with. Next in line in the classics bundle is the LA-2A which is a compressor that's been around for longer than I have, you have and we all have put together collectively. What's so special about that? Well, like a Pultec, it's easy to use and it sounds great. Again, transformer-tube-transformer design with a little bit of a twist. In the LA-2A the gain reduction is actually achieved by a light. The brighter the light gets the more gain reduction you get. I know it sound weird but it's true. Look it up, it's called a T4 cell. What is great about the whole light thing is that it gives the LA-2A a certain sound, a certain attack and release characteristics that are perfect for bass and for vocals. Isn't that wonderful? The original designer, Jim Lawrence, was only looking to make something that would allow him to not have to ride a fader all day long while working at a radio. I don't think he was planning to make the an all vocal compressor for the next fifty years. Here's how to use an LA-2A. First listen to your track raw, in this case we have the Pultec from before. He comes up. Default setting. Press play. As far as I'm concerned this is actually a little too much compression. So let's look at the controls. One on the left called gain, one on the right called peak reduction. It may be a little confusing if you are from the western world and you read from left to right since in most fashions first you reduce the peaks than you compensate that adding gain. Which is the principle of compression. The original designer decided to put the gain on the left and the peak reduction on the right. Here's how you thing about it. You want less compression, take this knob down. More compression, you guessed it. So, of course, the principle if you're gonna over compress like this is to compensate by raising the gain. As you can see, it's hard to screw up, Even with this insane amount of compression it still sounds palatable. Friends don't let friends compress that much. There's no reason for it. Unless you’re looking for a special effect. I would say, for vocal for example, 3 to 10 db of compression depending on how uneven the original take is. It's acceptable. Anything beyond that is a matter of taste, you have yours I have mine. Will provide you with endless amounts of ABing, meaning listen to one or the other and wondering why you can't hear a difference. This button right here on the left Until you have the supersonic ears that will let you hear the difference between 3:1, 20:1 in conditions where there's really not that much of a difference, leave it in compress. Before we move on let me return the settings to something a little more reasonable. I kind of dig that. 'Till the daylight' and then 'I dance with your ghost' gets a lot louder. Right. You hear the difference in level between the two. And now with the compression. It's a little too quiet so I'm gonna add some gain so you can compare with and without, at the same gain. 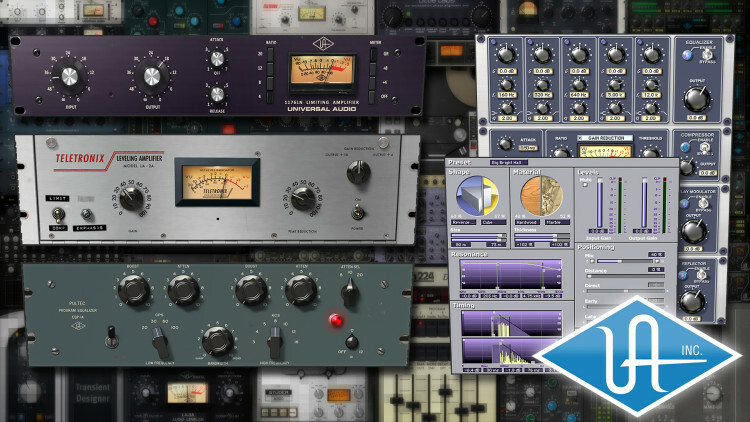 The next plug-in in the analog classics bundle is the 1176, which is also a compressor. What's so special about the 1176 that's worth knowing? Number one, it's from the late 60s. Peace man. Number two, it's solid state, not tube. Number three, it's very very fast. Meaning, it moves fast and it catch transients and attacks very well. Which is why people love it. Let me show you. The 1176 functions very differently and has a lot more controls than the LA-2A. In the case of the 1176, you get more compression by raising the input level into the processor. The more level you give, the more compression you get because it's a fixed threshold. So your threshold is here and then you raise your level into the threshold. You also have ratio controls. 4, 8, 12 and 20. The thing that is tricky here is that even though the 1176 is build as a fixed threshold compressor, it's not. The threshold changes when you change the ratio, because otherwise it would be too simple. Basic understanding of threshold, ratios and all the concepts like that are better explained elsewhere. What I'm trying to do here is show you how to make the most of these particular plug-ins for special situations. If you raise your level into the box, even though you're gonna get some compression, you will have to adjust the output level, so that you don't blow the next processor out of the water. So here's how I usually use it. I listen to my track flat. Then I turn it on with the default settings. So that's obviously too much compression. How do you think about it? Very simple. Since you get more compression if you raise the input into the box, obviously, you're gonna get less compression if you lower the input into the box. So let's do that. So obviously now the uncompressed signal is louder than the compressed signal. OK, I'll play it again. Listen to the raw vocal and the difference in level with and without. With it's nicely pinned and placed and doesn't move much which is what we are looking for from a compressor on a vocal for example. The other thing that's cool is it adds a little bit of a color. A little bit of a tone, a difference in tone. The reason for that is that this plug-in is emulating a piece of hardware and that piece of hardware had transformers in it, on the input and the output. And transformers are very much responsible for the color of a lot of boxes. The other controls you need to be aware about are the attack and release and ratio controls. Attack and release kind of speak for themselves except there's a little of a twist. Very fast attacks will let you catch all transients, kill the top of a snare or really keep something in place. Of course it will sound like you are compressing. If you want to have less of an obvious compression you're gonna slow the attack down to let some of the original sound through and give it more presence. The twist within the 1176 is that 7 is the fastest and 1 is the slowest. That makes no sense but it makes sense. Same for release. Now, how does one think about setting attack and release on an 1176 if you are not quite sure? It's pretty simple. Don't touch it. That said, if you have a vocal that's a little spitty, a little too present. Or a snare that has too much attack, you can speed the attack up by going towards the seven and it will catch more of that initial attack. If you want more presence and let more of the sound through than you go towards the one on the attack. Same spirit for the release. If you want the compressor to let go faster, so the sound is more natural, go towards the seven. If you want the compressor to try and do some level control, then go towards the one. In this case, I like the attack and release on the vocal. The default is pretty nice. You have four and eight, which are considered compression, and then 12 and 20 which are considered limiting. As a rule of thumb, if you want something more gentle, use compression. If you want something more drastic, use limiting. For a very detailed overview of all the settings I recommend you watch the dedicated 1176 video. As always, you can use this on the way in. Now you gotta be careful. It is very easy to overdo it within the 1176. So if you're gonna record with it, make sure you are always in gain reduction mode here and keep an eye on that needle. If your needle hangs out most of the time at minus 20 you're screwing up. Also part of the bundle is the 1176 SE. Which is, the same controls, the same principles, the same emulation, it's just coded differently so it's more efficient with DSP so you can use more of them with your Apollo. I personally wouldn't say that one sounds better than the other, but they do sound a little different so you must listen carefully. Next in the fantastic list is the little know CS-1 Channel Strip. When you first open the CS-1 it can look a little overwhelming. Specially considering all the controls there are and what the presets sound like. But fear not, we can do better. First I recommend you turn off the delay modulator, here, and the reflector. Here. And now it sounds like these. Ah! So, what is this plug-in? Think of it as your channel of a console. That's really what it is. You get an EQ here on top, than you get a compressor here. And then you get some cool special effects after that. Let's go over the EQ first. This a 5 band fully parametric EQ that's very transparent. Very clean. Every band has full control, gain frequency, All the bands overlap. Which means that if you want all five bands to hang out in the 60 to 80 Hz range you can do it. I wouldn't do it, but you could. Things to know: Every band has an on/off button. Make sure these are on otherwise you're not hearing anything that you're doing. Also, the bottom band here can be a high pass filter which is practical when you're tracking vocals, you can remove the bottom rumble end stuff like that. When you're in high pass mode obviously the gain does nothing because you're just filtering. It's no longer an EQ, it's a filter. The top band can be a low pass filter, which also can be very useful for very bright things. And some of these bands can be turned into shelving. So for example, the bottom band is now a shelf EQ. What I would recommend you do is probably use the bottom band as a high pass filter and the second band here as your shelf EQ. As they allow you to do very smartly. So you have five bands, which you can configure for very practical tracking or mixing setup, of a high pass, low shelf, mid parametric, high shelf and low pass. Each band having it's own bypass button, and a general bypass for the entire EQ with an offset right here. The offset is great. A lot of EQs don't have offset. Say you boost a lot inside the bands, you're gonna end up with a lot more level. How do you compare at the same level? Well, you could use this Output offset and this Bypass button to compare at equal level. Same if you cut a lot, you can boost the output. That's great. Also, this output button, makes sure that you don't have to kill the input of the compressor if you do a lot of equing. It's not trying to be an LA-2 or an 1176 or any existing hardware compressor. It's its own thing. It compresses. If the signal is too loud it brings it down. The first thing to do is to set your ratio. I recommend you try 3:1. Because 3:1 never killed anyone. Ratio is how much compression is gonna happen when you are compressing. Then set you threshold based on your signal level. The threshold decides at which level the compressor is gonna stop compressing. So the ratio decides how much compression is gonna happen, when it compresses, and the threshold decides at which level it starts compressing. Which is different from the LA-2 and the 1176. Right? LA-2, you just decide how much compression you want. 1176, you raise the level into the compressor to get it to compress. Here, you lower the threshold until you hit the point where you want compression. You get the hang of it. This compressor is a little different because it has auto-gain built-in. And you can't turn it off. What is auto-gain? Auto-gain is your compressor automatically compensating for the amount of gain you're losing because of compression. It's different from traditional compressors. Think of it as one less knob to worry about. Before we go any further let's start processing Will's vocal with just the channel strip. I'm gonna turn the bottom band into a high-pass. And then I'm gonna remove a little bit of the mask at 200 I think. I little bit of shine on top. I'm gonna turn this into a shelf. Right here. And make it shine around 20k. I'm gonna low pass at 20k to make sure there's nothing garbagy up there. Then we're gonna turn the compressor on, switch to 3:1, and lower my threshold until I hit just what I want. You see it with the needle moving. So I think it needs to start compressing at lower levels, a little bit, just a few dB. You will notice that even though I'm not at 17 dB on the threshold control, the level is not lowering like it was with the LA-2. That's because of the auto-gain feature. I'm starting to hear unnatural sounds on the breaths. Check it out. I'm gonna, probably be less brutish. Just like on the 1176 you have attack and release controls, same principle. Except here faster is to the left, slower is to the right. Leave them as default until you really get a feel for it. But again, more presence, slow the attack down. More clamping down the transients and the fast attacks, speed the attack up. Why, might you ask, is there and output knob if there's an auto-gain feature? Very good question, thank you for asking. It's because A, the auto-gain feature is not necessarily perfect. Two, that let's you control the gain stage of the entire compressor and the entire chain so far into the next module which is, the delay. Next is the delay modulator. Which should be called delay and modulator or, actually more accurately, delay or modulator. Let me show you. Let's turn it on. Sounds like this. But it could also be useful if you tweak it a little bit. Check it out. It has several personalities just like your ex girlfriend. Chorus, Chor180, QuadChr, Flanger, Flanger, Dual Delay and Ping Pong. So, right now we are hearing the Chorus. But we're also hearing some delays at the top of the chorus and it's all kind of complicated. This is how you think about it. First things first, if you're gonna be in Chorus mode make sure you lower the delays here so that you can hear what's going on. Then, if you are in chorus mode, you have the rate. If you wanna get really tweaky you can actually change the shape of the waveform that is the modulator. But we're not that kind of girl. A, pick your effect. You want a chorus, you want a delay, you want a flanger. Second, make sure that, if you are not using delays, that delay settings are short enough that you actually hear the process that is supposed to be. Like I showed you earlier. Choose your wet to dry mix. So, what does that mean? How much of the effected signal do you want. Now, what's this negative wet/dry signal about? It's the same, it's the ratio of wet versus dry but, the wet signal has it's polarity inverted. And I'm sure you can find some use for that one day. Next, you notice here that we have left delay right delay, left pan right pan. That's because this plug-in also works in stereo. In this case it's a vocal so it's just mono. But, if you were in stereo you could choose the width of these effects. Also, here you have something called 'Recir'. It's not french, no no no, it's called recirculation, which most other people call feedback. So the recirculation control is the feedback control you know. And then 'Damping'. That's pretty cool. Let me show you on a delay. The delay mode is called 'Dual Delays'. So you guessed it, we have two delays. The time for the first delay is here, the time for the second delay is here. As I just mentioned, if you work in stereo you could choose the left and right pans for those delays. For vocal I like shorter delays to try and create a little bit of a balance. OK. And then, less of the mix. The damping is really a way to darken every other occurrence of the delay. Meaning, as the delays repeat they get darken and darker like the old tape delays did. Check it out. And this is very dark. You almost don't hear it. If you go in between. You get that space but you don't get the brightness and the annoying repetitions. Maybe a little more opened. And a little shorter. And this is all built-in within the plug-in so you can make yourself a preset that you track through in real time and have all this all ready to go. As a reminder we started with the vocal here. offset gain here to compensate. I strongly urge to explore this menu. Because it is rare to be able to have modulation and delays built-in in a channel strip. And it's very practical if you are mixing fast. Last but not least, the Reflector. Let's turn it on. I'm gonna turn the modulator delay off so you can really focus on the sound of the Reflector. The Reflector is a great early reflection module. It let's you mimic the characteristics of a small room. Not the 'shhhhhh' tail, famous in the eighties and Enya records, but the sound of the room, like are you in the kitchen, are you in the garage, are you in the bedroom? And it's very useful to create space around instruments. Especially these days, when most people record everything way to close to the microphone and there's no space behind them. So having the Reflector on every channel can be great to give depth to your mix. Here's how to think about it. The default is actually pretty cool just to put space into something. The first thing you should do is decide of the wet/dry mix, just like you did with the delay. With this plug-in, you could also go into a polarity inverted mode which you will also find a proper use for one day. Here let's go around... 8. Let's play without as a reminder. You can hear this cool space around the vocal. I'm gonna exaggerate a little bit so you can really hear it while I design the process them bring it back to something more useful. Let's put it at say 40%. You can really feel this happening, right? So. You have the wet/dry mix. If you are working in stereo you have your pans right here. We're in mono so everything is default in 100% to the left as default. Let me exaggerate a little further. You can really hear the room getting smaller. Then you can choose the shape of the room. Every room has a different shape. So of course, if you click on the menu it's possible that you have a small heart attack. listen to it, if you don't like it move on. There are no dying consequences of not knowing in advance what the shape is gonna sound like. I don't, nobody does. Except maybe the guy who designed the plug-in. We are on the corridor, let's listen to the cube. Corridor is a little lighter. OK. I don't know, I think I like the cube better. How about a smaller cube? That's usable. Feedback, right? So more of it. So you can make the room darker and have more reflections. All these nuances become clearer and more intuitive over time. Using presets is totally fine and nobody will sue you over it. Let me tweak it a little further so that it sounds better. Very often you know you are there when you're no longer sure if you have a process on or not. That means this is integrated in the track and not calling attention to itself like for example now. Everything feels very forward without, very dry and very demoey. And with you have a little more of a space. And with we add the delay modulator back on. That's nice. All in one, EQ, compression, a little bit of delay, a little bit of early reflection to give a it of vibe. All in one plug-in, this track will now fit nicely into the bed around it. Last but not least, the RealVerb Pro. Let me show you the controls. This reverb attempts to recreate real spaces. You have a shape control and a material control. Shape is the shape of the room, material is what covers the walls of the room. and mix and match materials because no room is perfectly square and no room is made entirely of gold. To keep things simple, I recommend you start by using one shape and one material. For example, let's pick this shape, and this material. These two controls here relate to the different shapes. The top size control relates to the size of that reverse fan and the bottom size control relates to this one but we're not using it right now. Same for material, this is the thickness of the hardwood. And this would be the thickness of the marble but we are not using the marble this very minute. This is what a reverse fan room, of size 56 meters, with 81% of hardwood thickness sounds like. OK. This is what it would sound like if it was marble. So apparently marble is thicker sounding than hardwood. Over time you can learn that stuff. As I said before, if you are designing your reverb from scratch, it's easier to use one shape and one material and than go from there. But you can also use presets. It doesn't hurt. Let's use a preset here. There's one I like called Theater. Check it out. That's nice and I can play with this and show you how to tweak it. So this is a Fan and an A Frame, and some plaster and some drapes. The plaster sounds like this. And the drape sounds like this. A lot darker as you would expect. The mix of the two is interesting. Next, in the positioning section, here's what you need to know about. The mix is the mix of wet/dry just as we saw before. So less would be nice in this case. Distance is a very proprietary system that let's you actually alter the feeling of distance between the subject and the reverb. You can play with it, it's not a crucial setting for now, but you can play with it if you wanna get really really tweaky. And you have pan controls, or width controls. For the early reflections and for the late reflections. Let me show you the difference between early and late reflections so you can wrap your head around that. Early reflections, as I have explained before, are the sound of the room. Because when you are in the room and you speak your voice hits the wall and gets back to you. The ceiling, the floor, the side walls, everywhere. The sound of these reflections get to your ear and your brain imagines what kind of room you are in. That's why you can tell where you are in your house even with your eyes closed. Your brain reconstructs what room you are in based on the early reflections. So in this case, I'm gonna lower the level of the late reflection and we are gonna to listen to only the early reflections. Which is this engine right here. You can choose how late they are. As a reminder, this is flat. I'm gonna put a little more reverb so it's easier to listen to. Now you can hear there's a little bit of a space, just like we heard on the channel strip. You could choose how dense they are, how delayed they are, and how loud they are. And then you have the tail also know as late reflections. I'm gonna turn the early reflections off. And this is the late reflections. So as you noticed, this is your level. Same here, this is your level for the late reflections. This is the delay, this is how long it takes before they hit. And this is how long they are. If you want a really long reverb you do this. So, the combination of early and late reflections lets you really shape the reverb you want. I don't think we're gonna keep the 18 seconds reverb. Let's start with two seconds, ish. I wanna put less of the combination of early and late so it's more realistic. If you remember, I mentioned earlier you have early and late reflections stereo width which means you could have more centered early reflections and very wide late reflections. All that stuff is very subtle and all the parameters kind of interact with each other so it can be overwhelming. What I recommend you do is start with a preset you like and just tweak things a little bit until you get the feel for. There are more a few couple things you need to know about RealVerb Pro. For example, what is that resonance control? Well, that is more of an EQ than anything else. Check it out. You can change the range of the EQ like this. You can dampen the high end which is very useful for reverbs to make them more discrete. You can dampen the low end which is very practical to clear the mud from the mix like this. And you can also add or remove some mids and really shape the tone of the reverb. So don't let the word resonance confuse you, it's really and EQ, check it out. Right now, it's really dark. Of course I can hear you think from here. "Wait, wait, wait!" "I can also change the color with the material here, and then I can change the amount here, and I can change the early reflections and the late reflections." Yes, I know. That's what presets are for. One, Morphing. What's that? This reverb lets you morph, basically seamlessly transition between two presets. So for example a small room and a really big room. And you go from the small room to the very big room by sliding the slider here. And there's no artifacts, it's pretty cool. So let's pick a couple of presets we like, for example, Large Bathroom, and... Jazz Club. That's a nice transition right there. So, we start with Large Bathroom and we transition to a Jazz Club somehow. That is one large bathroom. As you've seen, I've been using the RealVerb Pro straight on the vocal track. And using the mix ratio right here to decide how much of it I wanna hear versus the dry signal. Another option is to not use it on the track itself but put it on an Aux, on a different track. What you need to know in this case is that you have to have the reverb 100% wet so you only hear the reverb on the Aux. You can also use this cute little 'w' button here that makes it 100% wet automatically. The main benefit of putting the reverb on an Aux as opposed to directly on the track is that you save DSP. And also you can send multiple instruments to it since it's a Send system so you can send the reverb and the guitar and the vocal to the same reverb. Which gives a certain ensemble vibe to the sound. Using it on a single track keeps it simple. That's the reverb for the vocal and you don't have to worry about anything else. So there you have it, Pultec Pro, LA-2A, 1176, CS1 Channel Strip and the RealVerb Pro. Everything you need to mix a record or track a record with your Apollo Box. We just skim the surface, if you wanna see more in-depth mixing videos or tracking videos look elsewhere on the site. This was an exceptional overview. People tend to overlook "stock" or "free" plugins as somehow "less valuable." And while there are definitely better plugins out there, it is all relative if you don't know how to maximize what you already have. Just like Fab says at the end of the video, you have everything you need right here to mix a fantastic sounding record. Thank you! Outstanding! I just bought an Apollo Twin, but haven't had the time to dig into the plugins manual. This vid is a great intro for anyone not familiar with the devices in the bundle. Also, Fab is an excellent instructor. Great job! Some very solid explanation of the function and controls of these plugins. And even goes further to explain best practices to get great sound from gear that predates my birth lol. Its one thing to buy a nice set of plugin emulations from decades ago but its another thing to know how to use them when you've never spent time with the hardware in real life to learn its behaviors under the instruction of a mentor. This tutorial definitely bridges that gap while getting straight to the point. A lot more confident now. Thanks! Merci! Très clair comme toujours, même en anglais!!! My New EQ, Comp and Reverb to my Mix Thank Fab!